What does a mail superintendent do? Would you make a good mail superintendent? Take our career test to find out how you match with this and over 800 other careers. What is a Mail Superintendent? What is the workplace of a Mail Superintendent like? Mail superintendents are the head of a postal service. 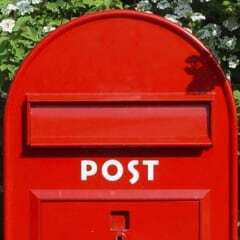 They carry out functions such as directing and coordinating the operational activities within the postal service. Their role also requires that they oversee the administrative, management and supportive services within the postal services system of their state or country. They are responsible for coordinating workers' activities within an assigned post office, and seeing to the overall smooth operation of the entity. Individuals in this profession wear many hats as this is a multi-functional career. They are charged with the duty of overseeing all the workers in the postal system to which they are assigned. This includes preparing their work schedules as well as hiring and training employees, and evaluating their performance. His or her duties are also extended to customers as they will have to handle customer complaints and try to find an amicable solution to these issues. Mail superintendents have to supervise the processing of pieces of mail that come in and those that leave the post office (incoming and outgoing mail). He or she will need to maintain proper records of the activities within the post office as they will need to submit detailed and summary reports to their designated supervisors. As is the nature of any workplace, there may be instances when there is labor unrest. The superintendent will need to be proactive and sometimes become the negotiator in these labor disputes. If this is to be an effective part of his or her role, the superintendent must be able to command the respect of fellow employees as well as gain their trust. The public plays a vital role in the daily operations of the post office as they are the ones being served. The superintendent will need to be mindful of this and ensure that customers are provided with quality service. The Superintendent must ensure that there are measures in place to educate the public about the postal laws and regulations. The post office rents parts of its property, namely mail boxes, and the collection of the rent payment falls to the Mail superintendents. They will also need to liaise with suppliers to obtain bids for forecasted purchases, make requisitions and make the necessary payments. Another part of their duty is to issue, and cash money orders as well as bring to the public's attention services that are available to them. As a means of maintaining structure, order and promoting continuance in the workplace, the superintendent will need to select and train qualified individuals to serve as postmasters and managers for affiliated postal units. Overall, the responsibilities that come with this job are pretty much the same as those of a CEO. The individual who aspires to fill the role of a Mail superintendent must view his or her role as if they were operating a business. Are you suited to be a mail superintendent? Mail superintendents have distinct personalities. They tend to be enterprising individuals, which means they’re adventurous, ambitious, assertive, extroverted, energetic, enthusiastic, confident, and optimistic. They are dominant, persuasive, and motivational. Some of them are also conventional, meaning they’re conscientious and conservative. Does this sound like you? Take our free career test to find out if becoming a mail superintendent is right for you. The main place of work is undoubtedly the post office. The hours of work may vary according to the country. Mail superintendents may work from their office sometimes, but their job also requires that they actively monitor the employees and the daily operations of the post office. For this they will have to move around and interact with the workers and customers.